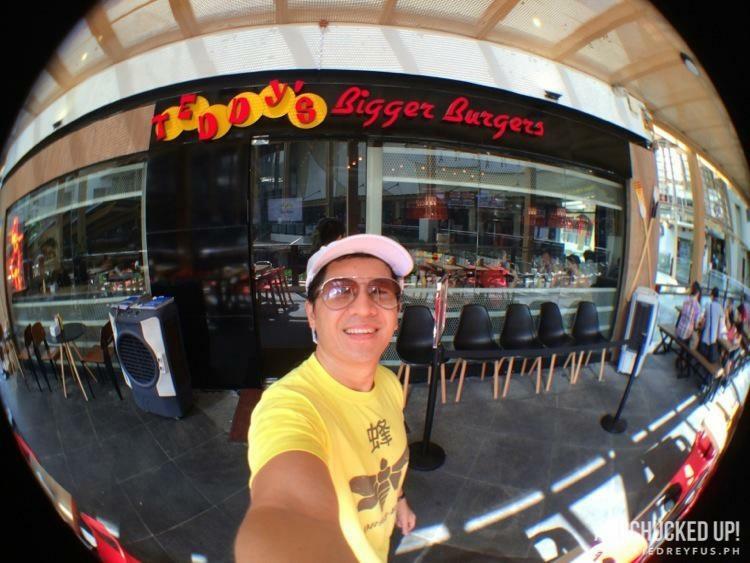 Teddy's Bigger Burgers - a BIG hit in Manila! - All Chucked Up! 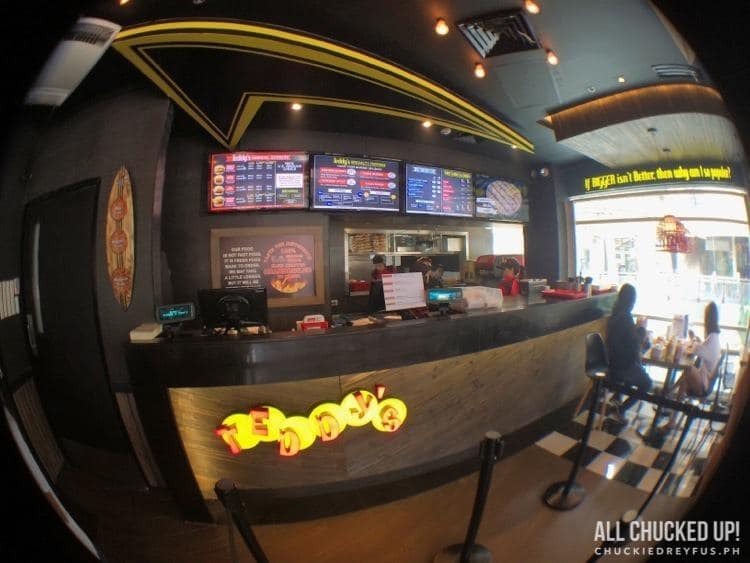 You are Here >> Home >> Featured >> Teddy’s Bigger Burgers – a BIG hit in Manila! It’s no secret that I love burgers. I would normally go for a thick juicy burger rather than a typical lunch meal that has rice. I go crazy over burger joints that not just aim to please but overwhelmingly satisfy. Nothing beats a perfectly prepared meaty burger dripping with its own glorious juices. OMG. Talking about burgers made me hungry all of a sudden. Hahaha! 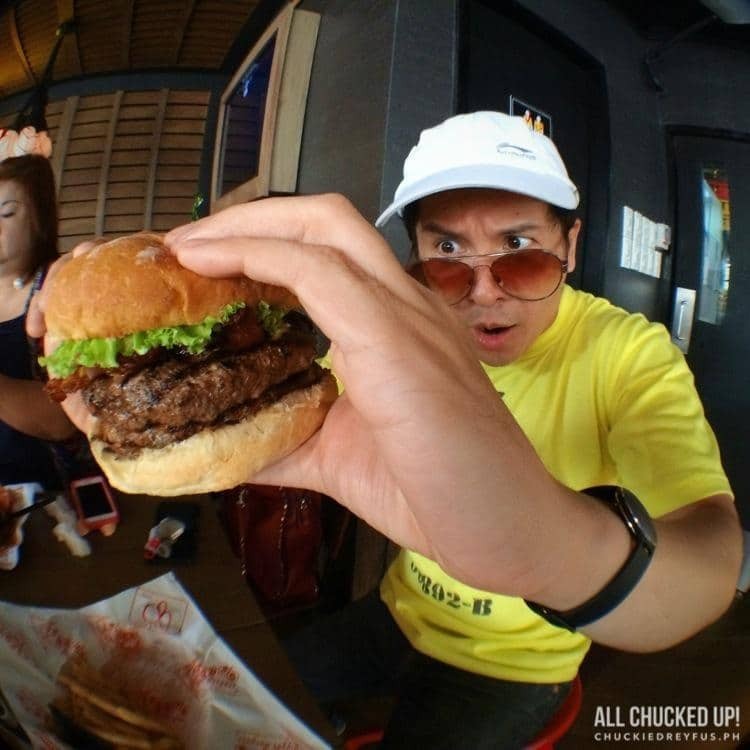 I recently visited a fairly new burger joint in Makati called, Teddy’s Bigger Burgers. 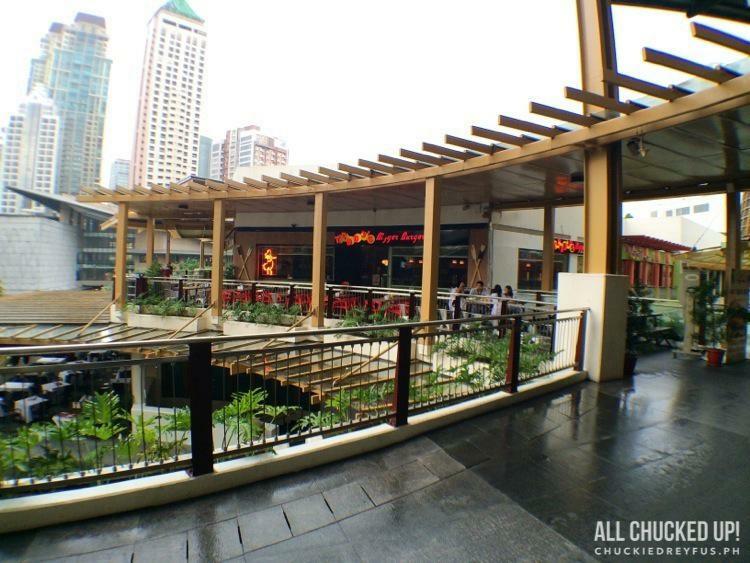 I was absolutely curious to find out why a lot of people in Manila have been going crazy over this burger establishment located at the 3rd level of Greenbelt 3, Makati City, which was also voted “Best of Honolulu”. And so, my wife and I went with eager anticipation. As I approached Teddy’s Bigger Burgers, I was praying that the food being served would live up to the enormous hype. The moment I arrived, I could already smell the aroma of perfectly roasted beef patties. The sight of servers bringing out tons of enormous burgers for waiting customers just got me all the more excited. I asked the good folks of Teddy’s Bigger Burgers about what makes their products special and standout among the rest. Well, for starters, Teddy’s definitely ain’t fast food. They use 100% corn-fed US Black Angus Ground Chuck. Their patties are charbroiled and cooked medium well. Burgers are stacked with special sauce, lettuce, tomatoes, onions and pickles (unless requested otherwise) and they never use binders. Great! Ready for Teddy’s Bigger Burgers! “Let’s get right to it!”, I thought to myself. I made sure that my tummy was ready for the challenge ahead. We immediately grabbed a table, scoured the area and went straight to the counter to order our food. Oh, boy… here we go! 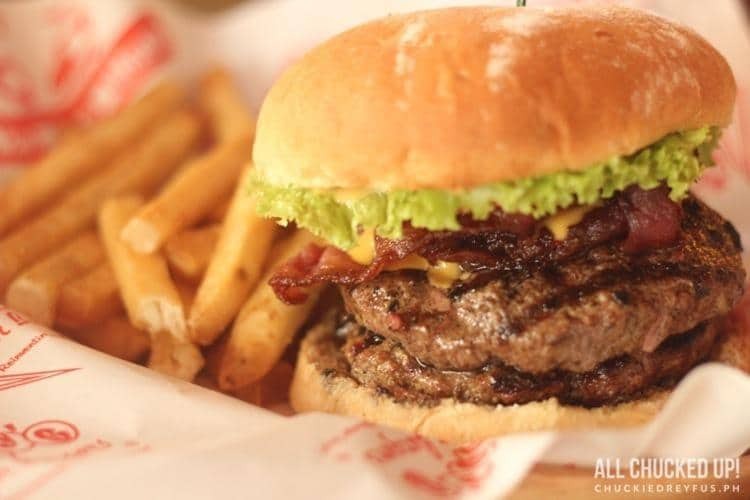 There are so many kinds of burgers one could choose from and you can even customize the kind of burger and toppings you want. It’s incredible. 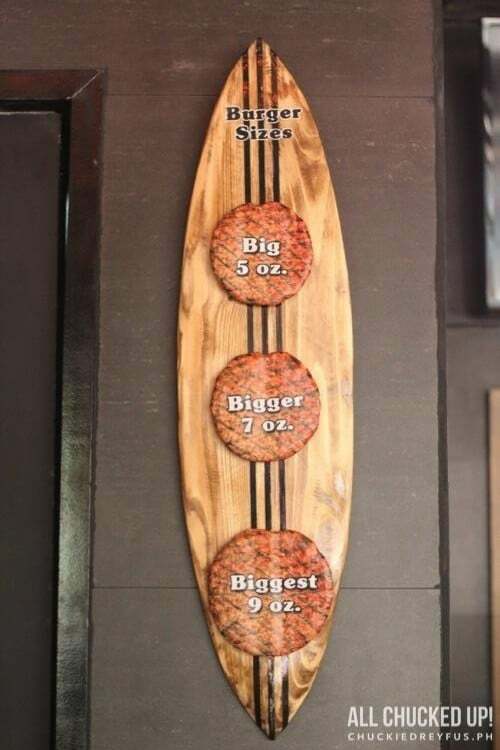 Not satisfied with how big your beef patty is? 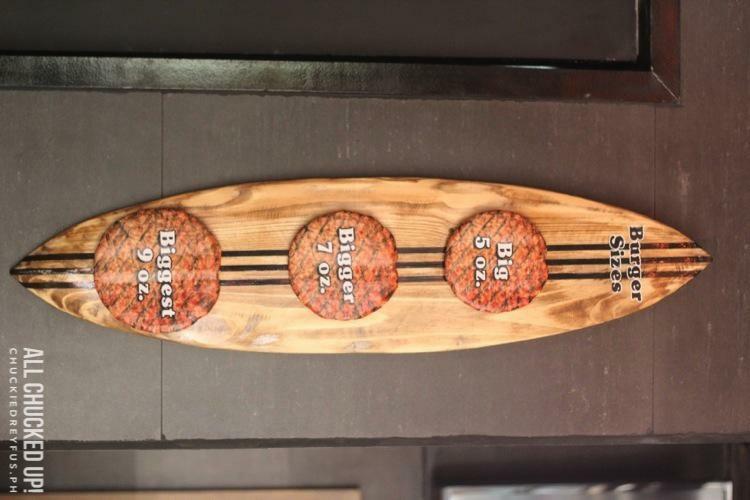 No problem… Teddy’s Bigger Burgers even offers three (3) patty sizes to choose from: Big – 5 oz., Bigger – 7 oz. and Biggest – 9 oz. My wife opted to go with a slice of pineapple to give this particular burger a sweet and salty approach. I must say, this was a very good choice. The contrasting flavors was perfect for my wife who loves to be adventurous when it comes to eating. Teddy’s Bigger Burgers sure knows Hawaiian. I opted to go for two (2) Teddy’s Bigger Burgers’ 7 oz. beef patties (14oz. in total) because I wanted it to be one meaty badass baby. I had them throw in some delicious bleu cheese and a couple of crispy bacon slices for good measure. Wow. OMG. Now, THAT is one helluva monster meal Teddy’s Bigger Burgers prepared for me. It’s ridiculously huge. It was pretty much “love at first bite”. That dripping juice that just seems to roll down the side of your mouth whenever you munch down on it is just heaven. I died with every bite. 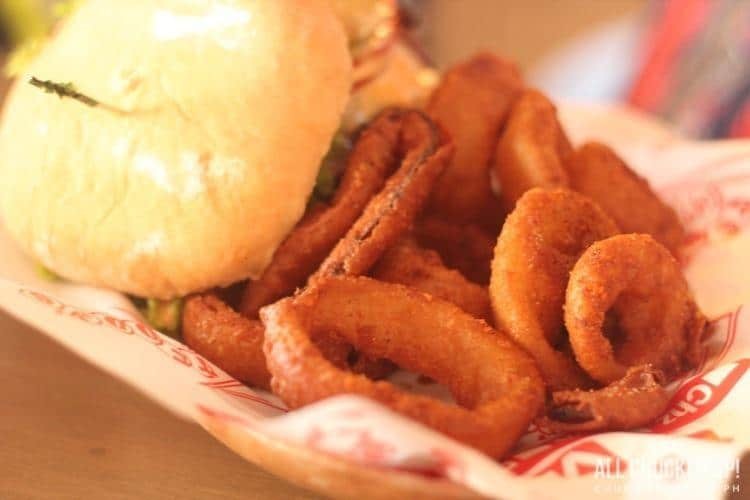 Teddy’s Bigger Burgers also serves deliciously battered, thick-cut onion rings. Perfect for your gigantic burger. 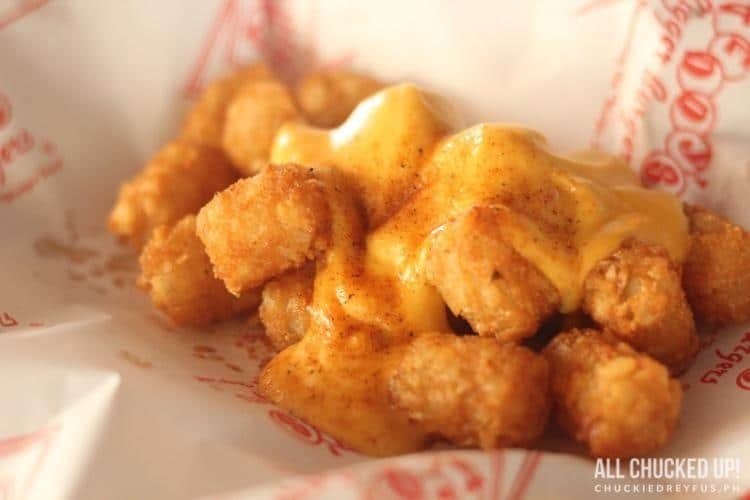 Teddy’s Bigger Burgers’ extra crispy bite-sized potato tots. Oh, wow. Teddy’s Bigger Burgers got its start in the backyard cookouts of owners Ted and Rich. The two loved good burgers but couldn’t understand why there weren’t any fast food restaurants that offered the quality of their home cooked burgers in a quick service environment. So Ted and Rich set out to create a restaurant that served the best quality burger in an energetic fast paced environment. After studying the simple menus of the original 1950’s burger joints, Ted & Rich decided to ‘reinvent the burger joint’ with a 50’s theme and a simple menu of burgers, fries and shakes. The next year was spent developing recipes and finding companies that could supply the quality of products Teddy’s would insist on. That brings us to what sets Teddy’s apart. Teddy’s uses only 100% fresh chilled ground chuck (no fillers or binders). Burgers are hand pattied daily and always charbroiled to order. Super Sauce is Teddy’s own sweet and tangy creation, not the usual thousand island dressing. Teddy’s Teriyaki Sauce is a traditional recipe made from scratch. Our produce and buns are the highest quality and are delivered fresh daily. 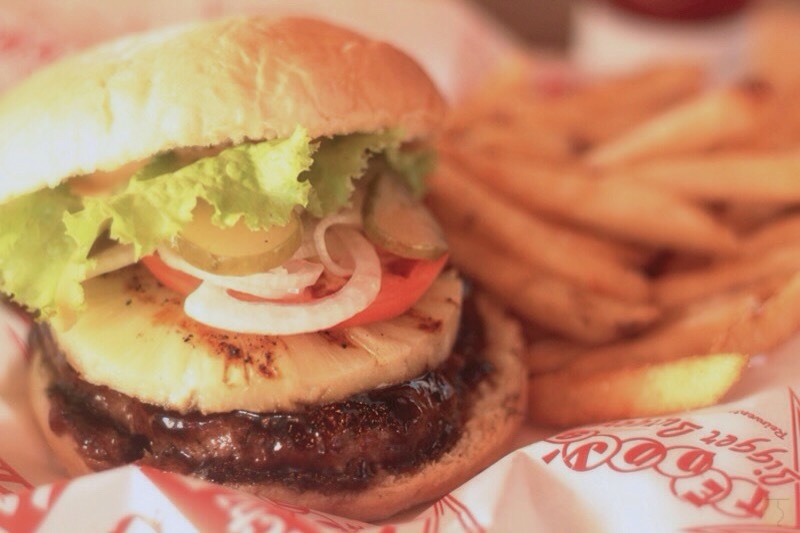 The first Teddy’s Bigger Burgers was opened on the 15th of April 1998 at the foot of Diamond Head. 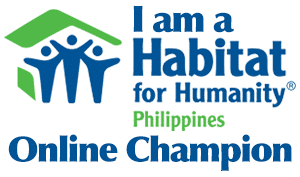 Our competitive advantage lies in an extreme focus on quality and customer service. Because all of our menu items are prepared to order, we do take a little longer. Our goal is to make it worth the wait. Verdict – Bigger is better! My wife and I are pretty much convinced. Teddy’s Bigger Burgers definitely knows BIGGER burgers. Bigger in every way, in fact: size, taste and satisfaction. Will I be back for more of Teddy’s Bigger Burgers? You betcha! There are a ton of other stuff that I’ve yet to sink my teeth on in the near future. 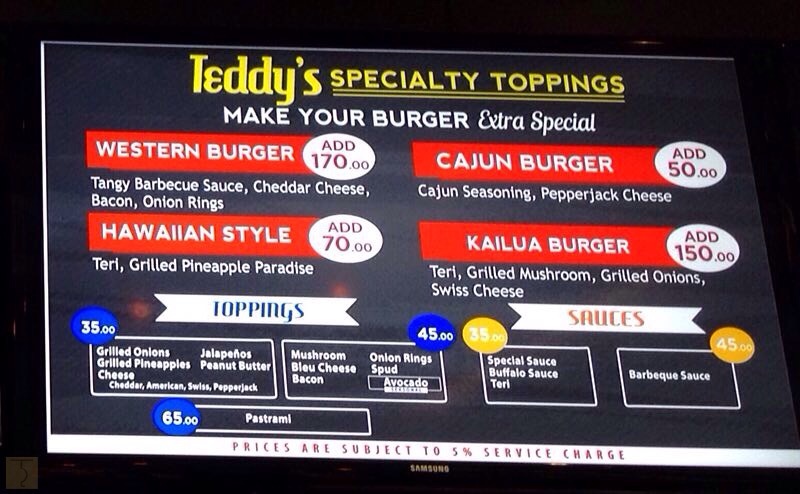 Haven’t been to Teddys’s Bigger Burgers yet? 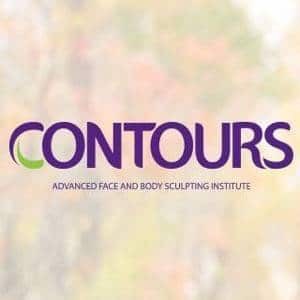 I encourage you try them out soon with friends and family. Bring your A-game appetite when you do… I promise you won’t regret it.